Going abroad might be easier than you think, says Sebastián Mealla from ProtoPixel, one of the many Spanish startups drawn to the creative tech culture of Berlin. 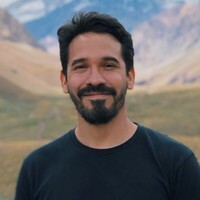 Sebastián Mealla, Co-founder & CEO at ProtoPixel from Barcelona/Berlin. 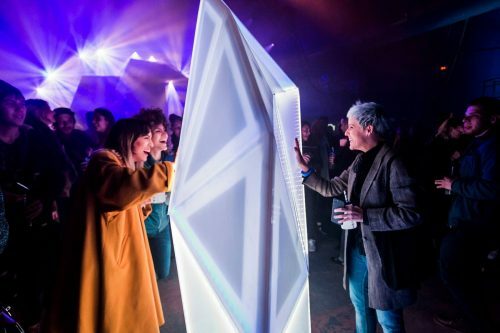 Meet ProtoPixel, a startup from Barcelona gone Berlin with an interactive technology that creates stunning light effects for city landmarks, stores or festivals. In our talk, co-founder Sebastián sheds light on why Spanish startups are increasingly drawn to hip Berlin, what make each of the two hubs special – and the advice he wished he had before venturing over the border. 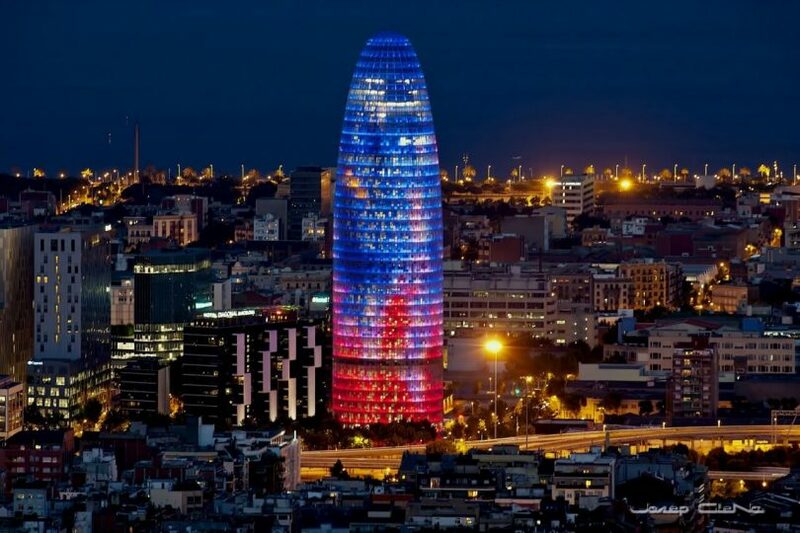 Your story starts at night in Barcelona, at of one of the most iconic landmarks of the skyline: The Glòres Tower. Can you tell us how this inspired you? Yes, the Torre Glòries became one of our first project. It is a landmark of the city like the Sagrada Familia; if you have been out at night, you probably have seen it. The system they had was undoubtedly powerful, but very difficult to use: It was designed for specialized technical experts. We saw the huge, complicated dashboard and laughed: “This looks like music technology 30 years ago!” But then we asked, why can’t we simplify light control with new digital tools, just like digital platforms have revolutionized the music industry? We suddenly saw the opportunity to apply our knowledge about music tech into the sphere of lighting; and from this, ProtoPixel and its first design guideline were born: Making lighting design and control more simple and more intuitive for everyone. “Look through” – Installation in Barcelona. Fast forward, a year later: What were your reasons to venture to Berlin? Germany is one of the biggest lighting markets in Europe and even the world, with many lighting and design studios and the biggest trade fair. Even when we were still in Spain, we already started to get requests from Germany. And we saw that customer behaviour is often the same – there is a standard lighting design process across countries. So we decided that that if we want to start to grow internationally and acquire customers in Europe, Germany was a good country. Germany is one of the biggest lighting markets in Europe and even the world, with many lighting and design studios and the biggest lighting trade fair. Even when we were still in Spain, we already started to get requests from Germany. And we saw that customer behavior is often the same – there is a standard lighting design process across countries. So we decided that if we want to start to grow internationally and acquire customers in Europe, Germany was a good country to start with. So Berlin is not only a hub to Germany, but to the rest of Europe? Exactly, Berlin has been a good move: We have been able to penetrate the German market, connect with the broader design community and business network, but also develop ties to the rest of Europe. We started coming and going, then got accepted into the accelerator program of German retail giant Metro powered by Techstars. Since then, we are based here. “Du bist verrückt mein Kind, du must nach Berlin” (‘My crazy child, you have to go to Berlin’) goes an old song that is now printed on T-Shirts and posters in souvenir stores. Is this clever marketing, or is Berlin still a harbor for the creatives and rebellious, those who think differently? I think there is some truth in that. When you come to the city today, you can still feel a very powerful combination of art, creativity and tech. For us, that combination was very, very important, because we deliver tech for the creative community, we essentially need both worlds. In Berlin, you can still feel a very powerful combination of art, creativity and tech. It is true that the booming tech scene is usually a bit separated from the artistic and design community. For us, things are different: We collaborate with a lot of artists here in Berlin, not only designers, but also performers, musicians, festivals. Many big brands flock to Berlin – not for business, but for inspiration. Yes, it is common to say that Berlin is cool, but there is no money. Instead, they want to find out how to become more innovative. So for us, dropping in on this event, or that workshop, or that meetup, it allows us to actually to connect with these businesses. Going back over the Southern border: Spain is currently experiencing an ‘investment boom’, attracting more investments in startups than ever from home and abroad. Is this a sign the sector is finally maturing – or did it just take investors a while to notice the potential of Spanish startups? In fact, there is a lot of potential in Barcelona and other hubs in Spain. About four years ago, when the economic crisis receded, the sector started to grow more, and more ambitious startups emerged. Investment and money is now going there – and also German companies like the successful fintech startup N26 are moving operations there. A big factor is quality of life: For us, it was always easy to recruit talent, because most people love to go and live in Barcelona. It’s an appealing culture, and cost of living are still affordable. And from Barcelona airport you can fly anywhere – quite a difference to Berlin! Did you also face limitations in Spain? My perception is that tech companies and investors are more conservative in Spain. I mean that in the sense that they often focus on “pure” digital business models, like online marketplaces; and those that produce quick returns in the short-term. 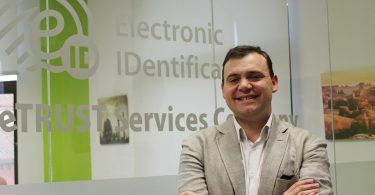 For example, even if we are a digital platform, our customers work with some hardware and physical components – and that makes us somewhat a different species in Spain. Here in Germany, we find investors are a little bit more open-minded in this regard. Last question: What advice do you wish you would have been given before going abroad – and what can you advise Spanish entrepreneurs? Don’t be afraid of going abroad – at the end of the day, Europe is a small region! 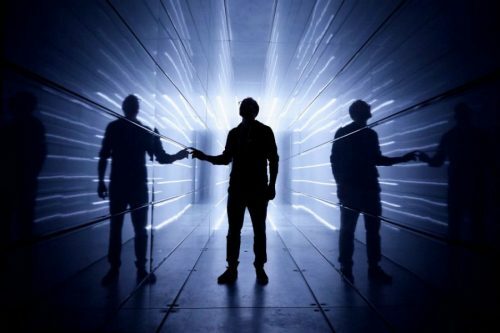 Light installation in pop-up ‘escape room’ by Audi. Photo: ProtoPixel. And second: Don’t be afraid of going abroad – at the end of the day, Europe is a small region! I say that because I come from Argentina, and distances in Latin America are huge compared to here. In the EU, no matter if you relocate permanently, temporarily or need to do regular commuting, it is still fairly easy. And one key advantage of the European Union is that regardless of which country you chose, you can easily expand to other EU markets.